Extracurriculars: Clubs and Field Trips! 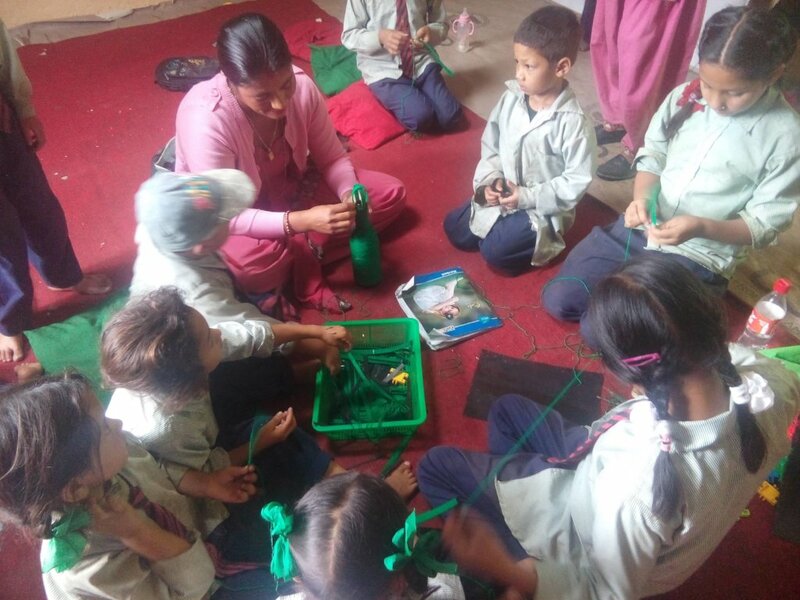 As you know, your generous support of ETC has made it possible for 30 schools in rural Nepal to receive important supplies and physical improvements, as well as useful professional development workshops and networking opportunities for the teachers. This work is at the heart of our education programming and ensures a more enriching school experience for more than 4,000 students every year. ETC helped launch Child Clubs at several schools, through which students can plan and carry out a variety of projects that add an extra dimension of learning and social interaction to their daily lives. Clubs meet monthly; occasional and regular extracurricular activities include creating and publishing school bulletins, artistic- and athletic-themed events, and sharing responsibility for keeping school grounds clean. 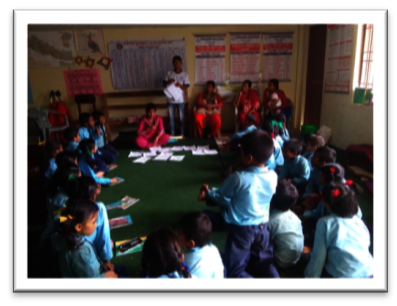 ETC also supported a professional development field trip for nineteen village teachers to four schools in Kathmandu. The relative isolation of village schools makes it very difficult, or even virtually impossible, for teachers to interact with and learn from any professionals other than their immediate peers. This Kathmandu trip was therefore both extremely interesting to and useful for the nineteen participating teachers. 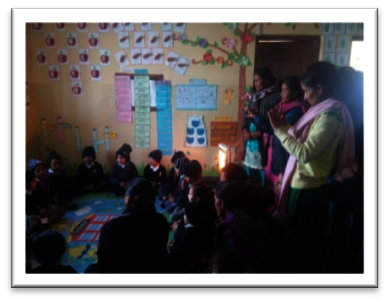 While there, they observed best-practice teaching methods in action and obtained ideas to help them with their own classroom setup and management. 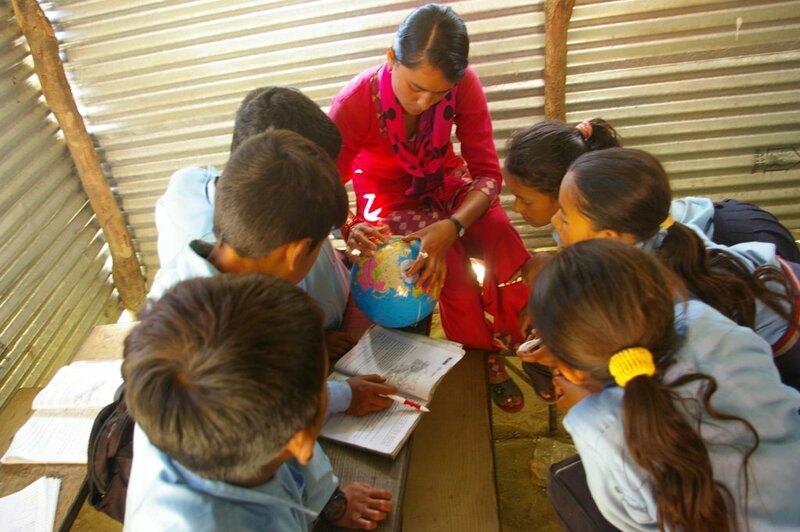 All of ETC's educational work is designed and carried out with the goal of making education in rural Nepal better and more accessible. As always, we are immensely grateful to you - our friends and supporters - for making all of this possible! We truly could not do it without you. As you know, ETC (with your generous support) works directly with 30 schools, improving the physical environment and educational quality for more than 4,000 students and their teachers. The school hosted a quarterly meeting of the Headmasters' Network. These meetings offer an invaluable opportunity for all 30 school principals to communicate regularly with their peers - sharing successes and challenges, and learning from one another's experiences. 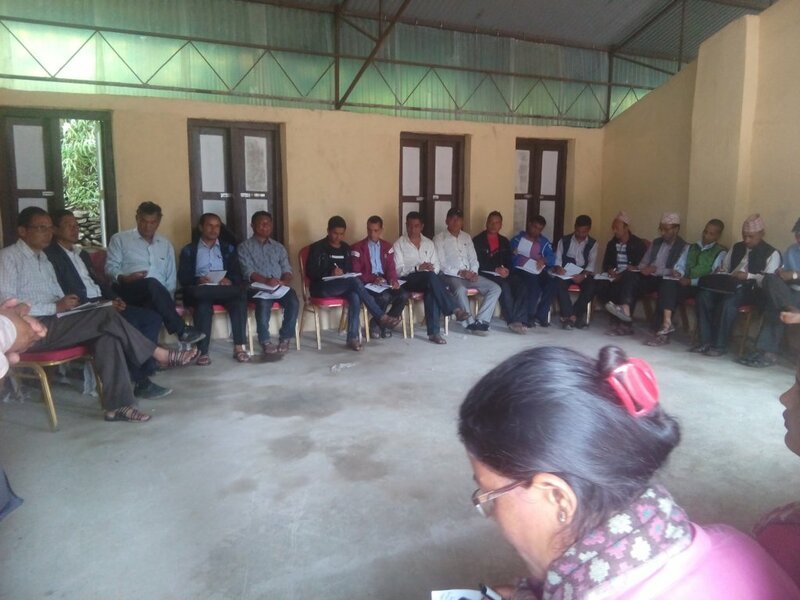 It is also the forum through which joint ETC-sponsored activities and year-long program priorities are agreed upon, including organizing parents' meetings serving families from multiple schools, inter-school athletic competitions, which schools will be supported for which infrastructural/logistical needs during the coming year, etc. Jalpeshwori is one of many schools at which ETC has helped to form and continues to support Child Clubs, which add an important and enriching extra dimension to village children’s school experience. Child Clubs sponsor cultural and sporting events, publication of school bulletins (by the students), and gardening clubs, among other activities. 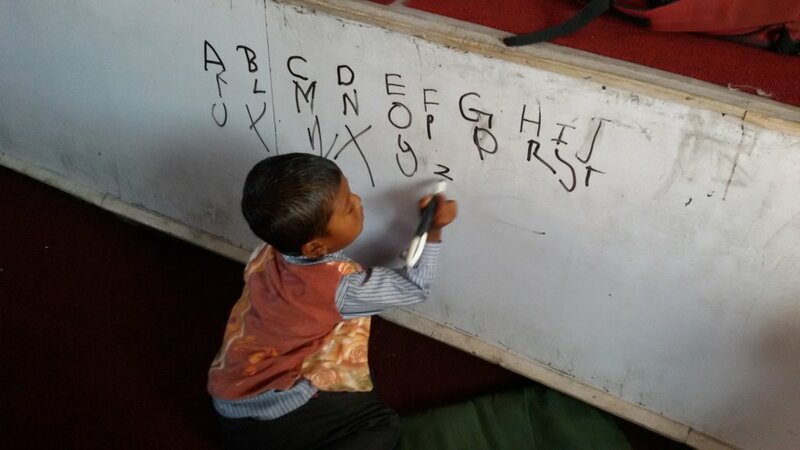 Several schools, including Jalpeshwori, have recently received a variety of display items to help make their classrooms more enriching and visually appealing. These include posters, charts, and photos. All 30 schools also received first aid supplies. 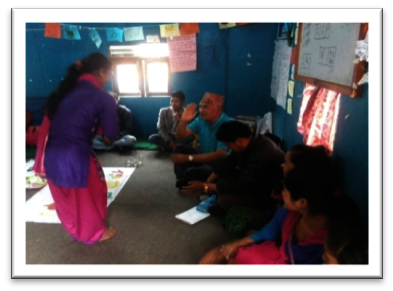 Jalpeshwori teachers have participated in professional training/development workshops. Most recently, these have included training for math teachers and a more general materials development workshop, through which teachers learn to use available resources to create educational materials that enhance their students' comprehension and retention. On another note, we are delighted to have participated once again in GlobalGiving’s Giving Tuesday campaign, at the end of November 2018. This “Better Schools” project and our (now completed) “Community Learning Centers” project combined received more than $9,000 in donations and matching funds, putting us in the top 2% of eligible projects for that campaign! We call that pretty darned good, and we are so grateful for your support. Again, we thank you very much for making allof this important work possible. Please follow us on Facebook (link below) and Instagram/Twitter (@ETC_Nepal) if you don't already. Best wishes for 2019! 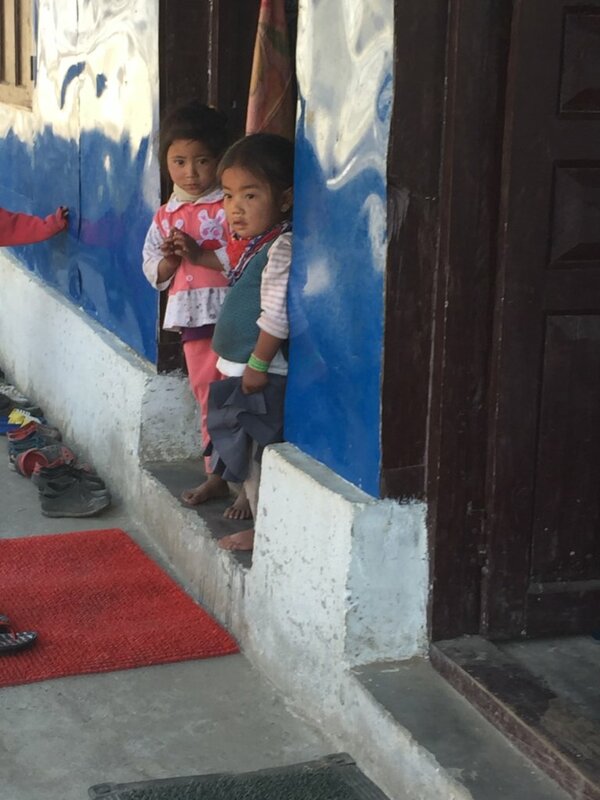 Those of you who have been following ETC's work for a long time know that the 30 remote rural schools with which we have been working since mid-2014 already had a myriad of needs, both big and small, even before the spring 2015 earthquakes. 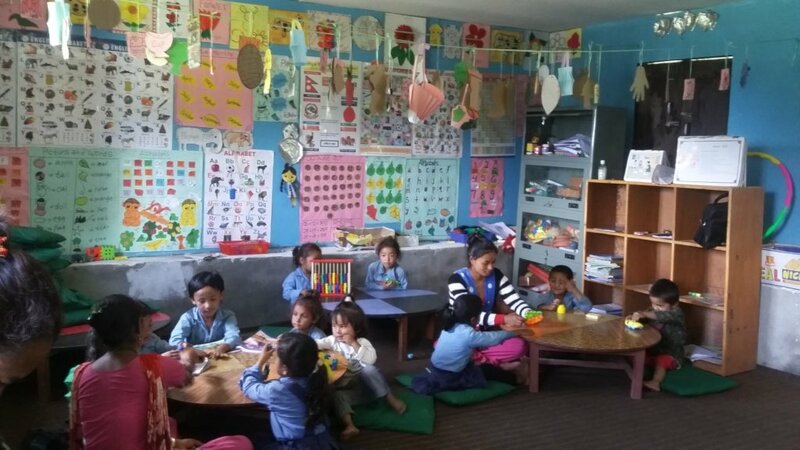 During the past four-plus years, with your very kind and generous support, we've made great strides in helping these schools recover from the quake devastation and become safer, more enriching places for children to learn. ETC's School Improvement Program is by no means a one-size-fits-all activity. Each school has its specific needs. ETC works closely with all 30 schools' headmasters, who meet quarterly through our Headmasters Network, to determine priorities and ensure that all schools have their turns to get the support they need most. Today, we are glad to share with you some recent images from three of the 30 schools, showing how much your support really means to these children and their teachers on a daily and practical basis. Note for example the fencing installed as a protective measure at Balambu School, to prevent rocks and other rubble from rolling down the steep hillside onto the school property. Because of you, these schools are much better places to learn and grow! As always, we thank you very much for making it all possible. 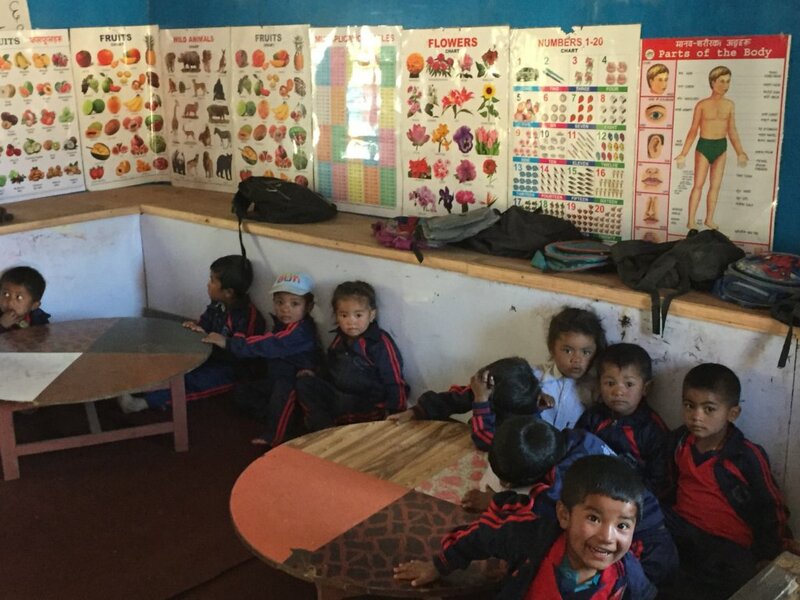 New GlobalGiving project: Community Learning Centers! 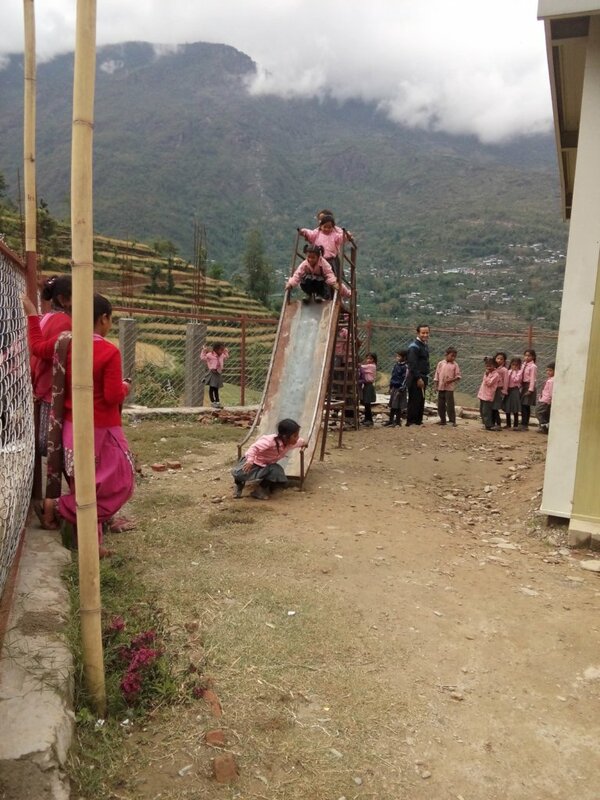 The new slide at Janajyoti School is very popular! This quarterly report is going to be a little different. 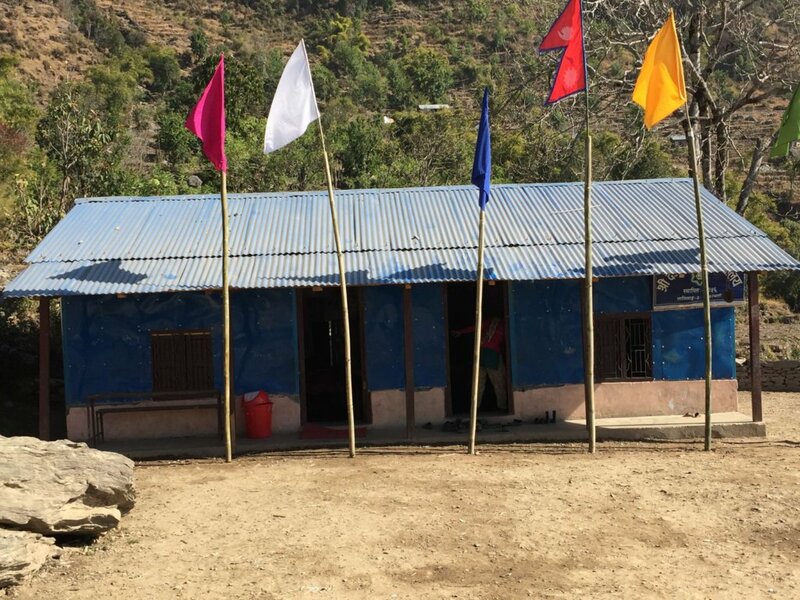 Beyond simply sharing details about what has been done across all 30 current ETC-supported schools, we'd like to give you a little glimpse into one particular school: Janajyoti Secondary School in Lapilang. Janajyoti is fairly large compared to others in our project area. It has a total enrollment of 320 students, of whom just over half are girls, in pre-kindergarten through 10th grade. The headmaster, Mr. Ganesh Khada, holds a Master's degree in English. A sizable percentage of the students are members of historically marginalized ethnic/caste groups. As you can see in the accompanying photos, Janajyoti has recently received a new slide (and swing set, not pictured). Sturdy recreational materials are important in ensuring young children's physical development and confidence. 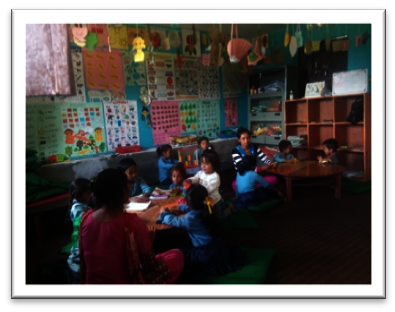 ETC has also supplied Janajyoti's classrooms with hands-on learning materials, which are so useful in promoting improved comprehension and academic performance, as an alternative to rote repetition. The child-sized table in the photo was also provided by ETC. 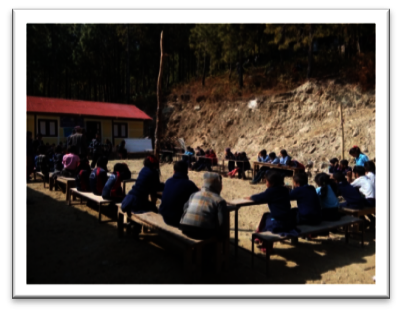 Janajyoti Secondary School is just one of the 30 schools with which ETC is currently working in Dolakha District. 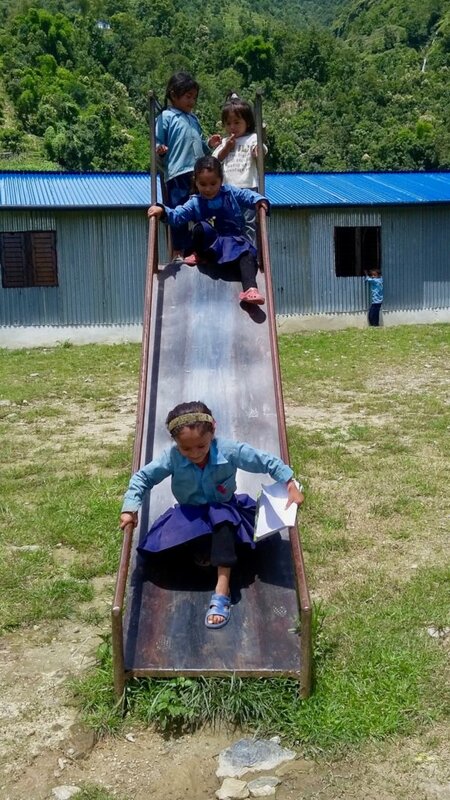 Sixteen of the 30 have had new swing sets and slides this spring, and all 30 have benefited in recent months through receiving classroom/recreational materials, furniture, water tanks, fencing, or other needful items. All of this is made possible by YOU, our kind friends, who support this useful and important work. 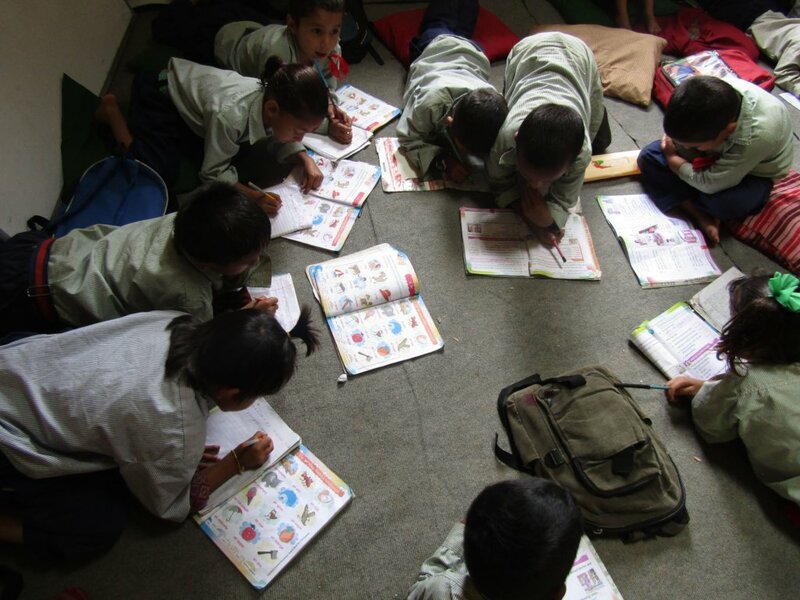 Thank you for helping ETC to enhance the quality of education for thousands of children in rural Nepal! We absolutely could not do it without you. P.S. Don't forget to follow us on Twitter and Instagram @etc_nepal if you don't already! April marks the Nepali New Year (Happy 2075!) and also the beginning of a new school year. 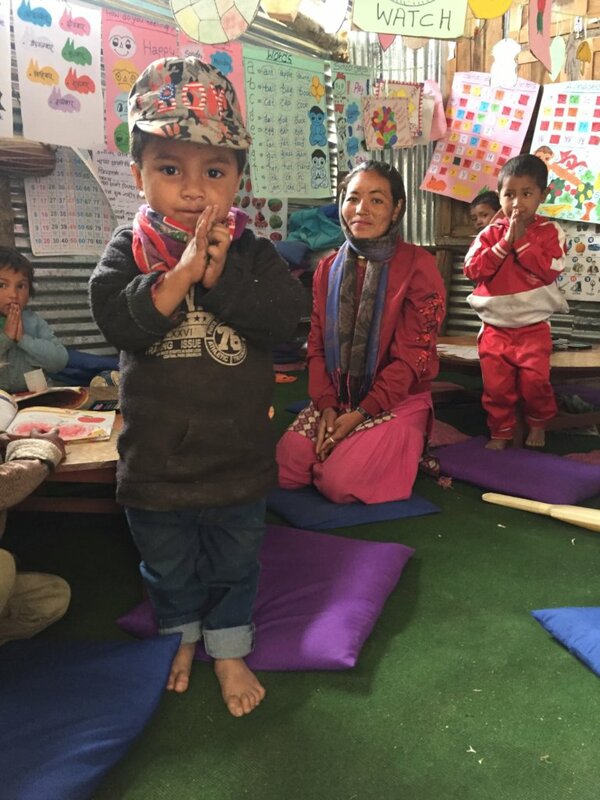 With ETC's and your support, 30 rural schools in Dolakha are ready to welcome their students back for another year of learning and growing! 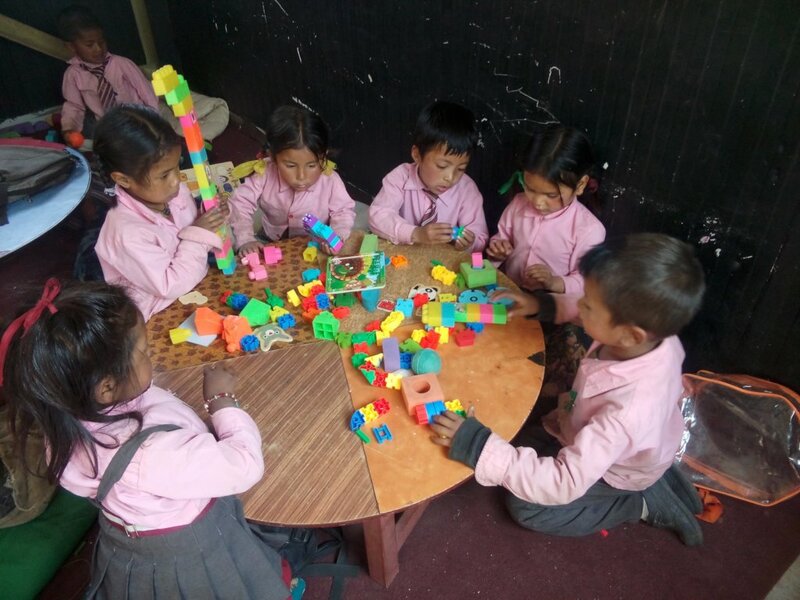 We've been especially busy recently with various activities to support the 19 early childhood education (ECE, preschool/kindergarten age) programs at our partner schools. ECE teachers took part in a four-day training while school was still out of session, in late March. The main focus was to learn how to develop and use their own classroom materials, with special emphasis on storytelling as an educational method. The March ECE teachers' networking meeting included lively and useful discussions about such topics as effective classroom management and the use of teaching materials to best support the concepts being taught. As usual, participants also had the chance to share their successes and challenges, and to learn from one another's experiences. These training and networking opportunities are so important for these teachers, who have no other professional development opportunities and are geographically isolated from one another. As for the facilities themselves, one of the four PLCs (Permanent Learning Centers) being constructed during early 2018 is complete, and the other three will soon be. These new spaces are eagerly awaited and much appreciated by the students, teachers, and parents too. 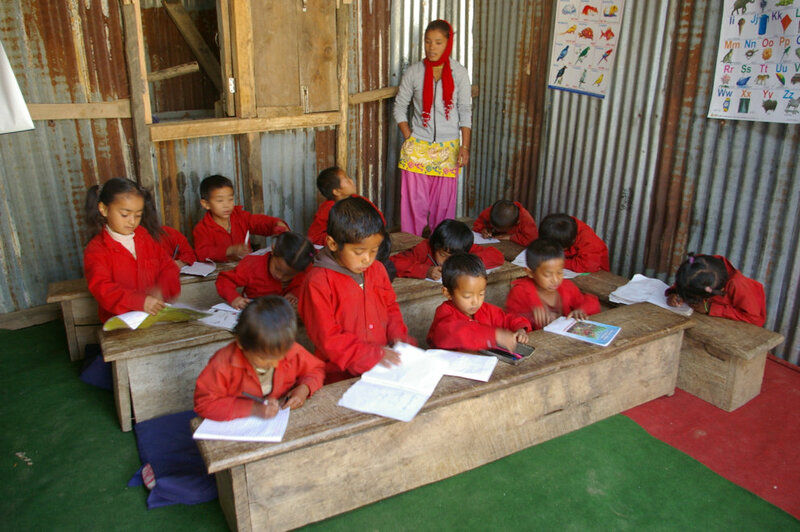 Government funding and support from other sources is so uncertain and unevenly applied that for some schools, ETC's new classrooms are all they are likely to get for some time, although it has now been three years since the earthquakes struck. A quiz contest and spelling competition, which took place at Pokhare Basic School in Lamidanda VDC and in which 17 schools participated. Prizes were awarded for first through third places. At the same event, a rather less academically rigorous but very fun activity - a balloon race competition - was also held, with prizes awarded. 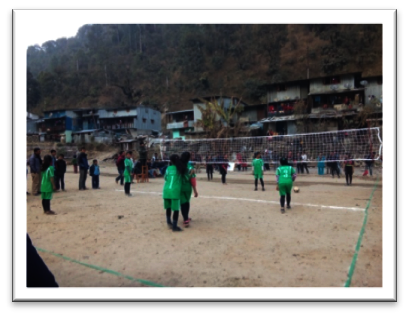 A two-day girls' volleyball competition in the village of Singati, Lamidanda. A total of 72 sixth- through eighth-grade girls from eight schools participated. Prize money, volleyball equipment, and certificates/trophies/medals were awarded to the first through fourth place teams. We hope you enjoy these quarterly reports, and that you will feel free to ask if there is any particular issue you'd like to see addressed in a future report. 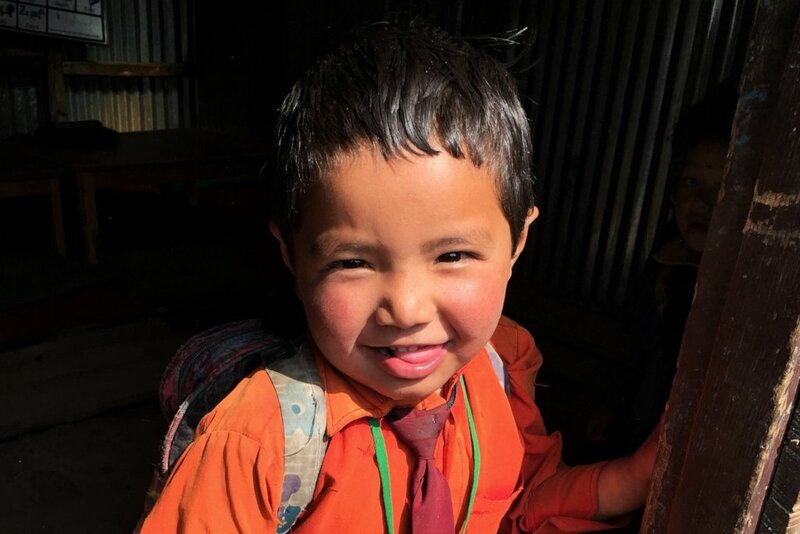 In the meantime, please know how great a difference you are making in the lives of thousands of Nepali children and their teachers through your support of ETC's work! 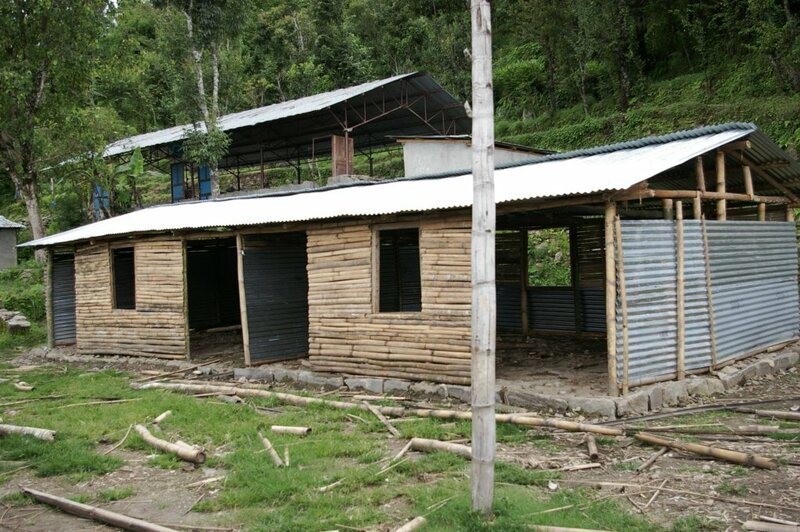 will sponsor one pre-primary classroom for one year! See www.etc-nepal.org for more information.